Purple nurple can strike at any time. 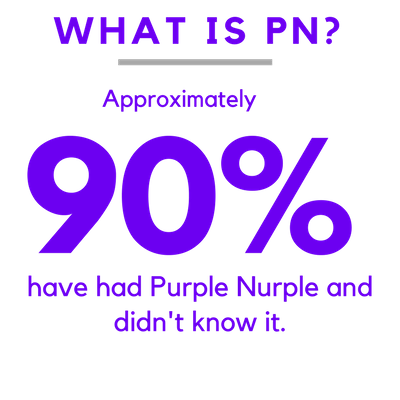 If you suffer from PN, you are not alone. It can be treated. Find out how The Warmfront can help. Don't let pn ruin your relationship. get help. Don't suffer PN alone. there is help. the warmfront prevents purple nurple. who should take the warmfront? Indications: The Warmfront is designed to make any outdoor activity more enjoyable. 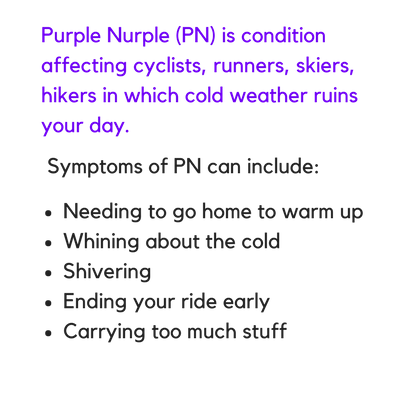 Cycling, running, hiking, skiing, snowboarding are all prone to Purple Nurple (PN) and taking a Warmfront with you is the most effective way to manage and prevent PN. The Warmfront is effective for men and women. Don't like trying new things. Always keep one in your pocket, just in case. When you get cold, simply put it on. When you get too warm, take it off and put it away. You should avoid carrying a vest, or a jacket. Save your money and buy a beer for your friends.